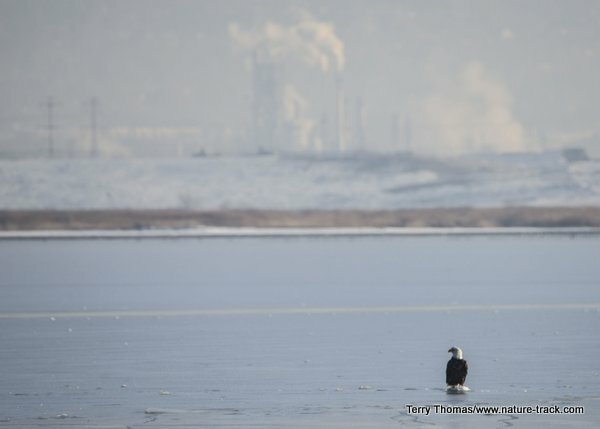 A lone bald eagle sits on the ice of Farmington Bay WMA, near Bountiful, Utah. By February, it will be joined by many more of its kind, creating a wonderful wildlife spectacle. I love old and familiar haunts, places where I know what to expect and when. My wandering is often guided by past experiences and memories play an integral role in my enjoyment. There are times though, when I love to explore new places where what waits around the corner is unknown and mysterious. Despite the fact that I grew up on Salt Lake City’s east bench, the marshes and bays along the Great Salt Lake are just such a mysterious place. Several weeks ago, on a trip to visit a new granddaughter, we wanted to get a little more familiar with the shores of Great Salt Lake and stopped by several of the wildlife areas along the edges of this remaining puddle of Lake Bonneville, the shoreline of which is still clearly visible high about the cities of the Wasatch Front. The northernmost area is Bear River National Wildlife Refuge near Brigham City. 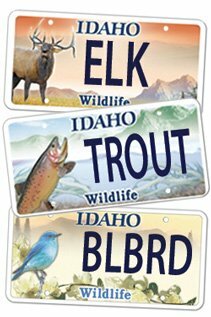 Just two hours from Idaho Falls, it is a great place for springtime birding. We were wondering what we would see in the dead of winter. A quick trip to the James V. Hansen Visitor Center, less than half a mile west of Exit 363 (Forest Street) on I-15, revealed that birds were still being seen in decent numbers so we drove the 12 miles out to the one-way loop and spent several hours slowly cruising the route. It is also 12 miles long and was easily passable to our sedan despite being a gravel road. We did see birds including swans and white-faced ibis, but it was admittedly a little slow. Our next stop was Farmington Bay Wildlife Management Area just west of Bountiful. Farmington Bay WMA is well known for waterfowl, but is most famous for its annual February gathering of bald eagles. There may be several dozen or several hundred, depending on the year. Most of the marsh areas were iced over, but there was still open water attracting a lot of birds including great blue herons, pintail ducks, grebes, scaup, gulls and, even though we were a month early, a single bald eagle. In between Bear River NWR and Farmington Bay WMA, are three other wildlife hotspots: Ogden Bay, The Nature Conservancy’s Great Salt Lake Shorelands Preserve and Antelope Island State Park. 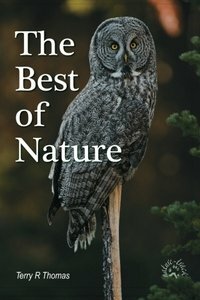 We have yet to visit Ogden Bay WMA, but a little research on the Internet revealed that it is a place worth seeing, even in winter, which is considered to be the slowest season for birding at Ogden Bay. Antelope Island and the seven-mile causeway that leads to it is regarded by Utah birders as the best birding in the state. That is largely because of fall migrations that bring millions of birds through there. Winter can still hold a birder’s interest though with chukars, owls, kestrels and more. One birder reported seeing 47 species on a January 2nd visit. Great Salt Lake Shorelands Preserve west of Layton is 4,400 acres with 11 miles of shoreline. There is a visitor center and over a mile of boardwalk into a variety of habitats. It also has a 35-foot-tall viewing tower. Four to six million birds pass through the Great Salt Lake during spring and fall migrations and as a result, the lake has been declared one of seventeen sites of hemispheric importance. When you get the opportunity, and want to see someplace new, Great Salt Lake marshes are only a few hours away and may quickly become favorite haunts.